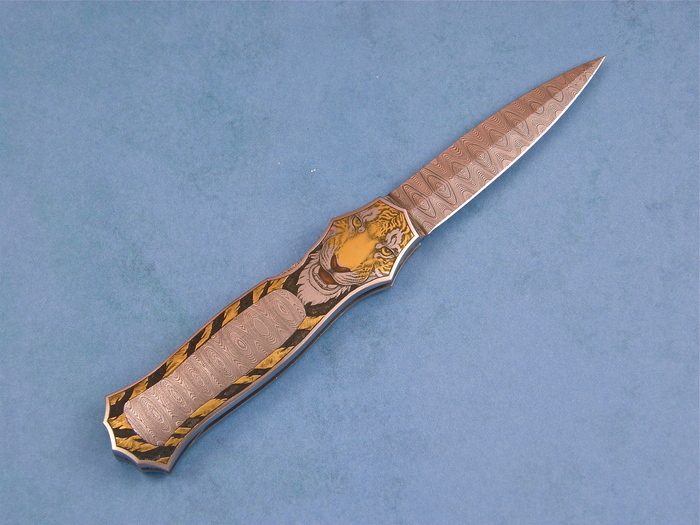 A very nice small dagger blade folder by Joe Kious. 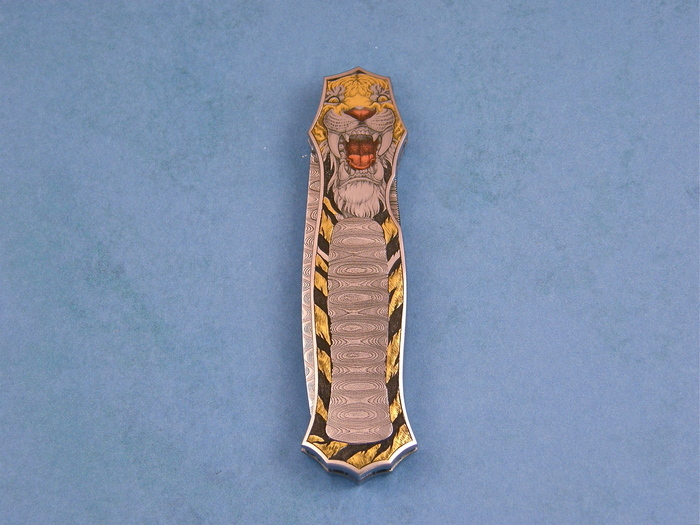 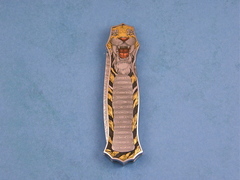 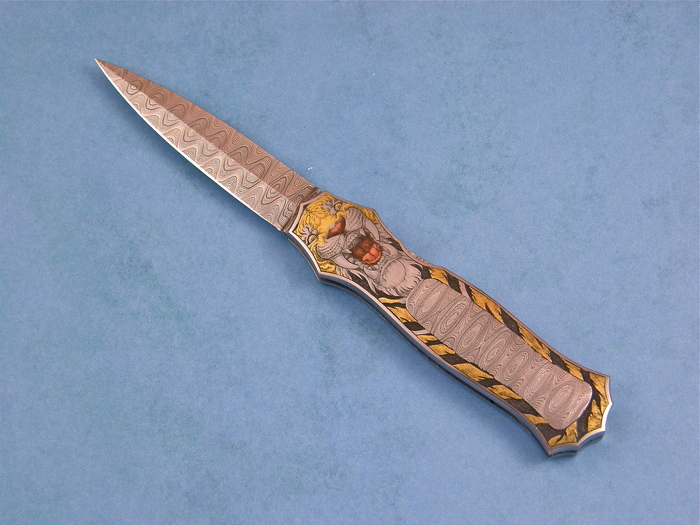 This knife has been nicely engraved by Jon Robyn with a tiger theme. 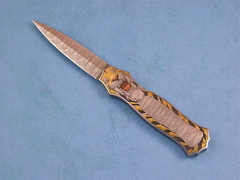 A very nice folder by two masters.